"Mirror mirror on the wall..."
This concert-story, based on Dahl's Revolting Rhyme, features four performers, a challenging, modern score and a truly twisted take on the classic fairy tale. 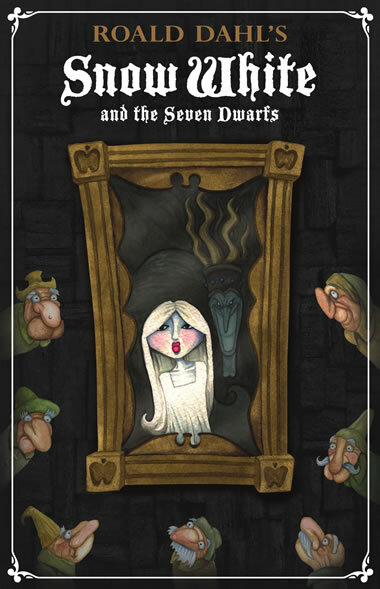 Snow White is here, and her evil stepmother, but when Snow White is led into the woods by a reluctant huntsman, Roald Dahl provides for a unique intervention by seven height-challenged heroes. (In Dahl's world, they are ex-race-horse jockeys!) This production careens through dark forests, palaces and race tracks on the wings of a truly inspired score. Snow White is prettier than you!" Inspired by the eerie opening bars, a Pantomime plays out, reviewing the elements of the Classic Snow White story. 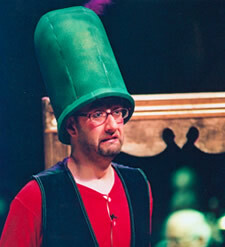 Then the appearance of a familiar figure in Dandi Production's distinctive red long-underwear launches a surprise-filled romp through Roald Dahl's hilarious reinvention of Snow White's adventures. A talkative mirror with a keen knowledge of racing handicaps provides plenty of advice and troubles... and Snow White somehow turns it all to her advantage. At the race-track, backing horses"
In it's irreverent storytelling style, the Dandi Productions troupe brings the wacky world of Roald Dahl's vibrant imagination to life. 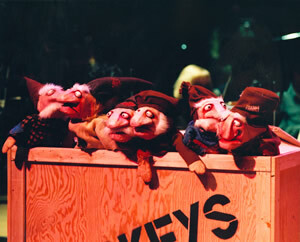 Featuring the ingenious puppets of master puppeteer Judd Palmer and the Old Trout Puppet Workshop, Dandi Productions has developed a performance style unlike any other in the orchestra world. 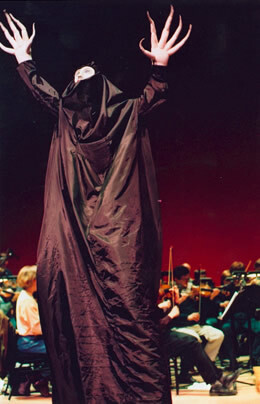 Each of its 6 concerts for Young Audiences has been designed to entertain kids and adults alike. Each complete part is bound in its own book. Xylophone, Vibraphone, Glockenspiel, Crotales, Metal Wind Chimes, Cowbells, Snare Drum, Rototoms, Bass Drum, Cymbals, Suspended Cymbal, Hi-Hat, Triangle, Woodblocks, Temple Blocks, Tam Tam, Vibraslap, Slap Stick, Cabasa, Shakers. The educational component for this show is currently in development please contact Doug McKeag for more details. 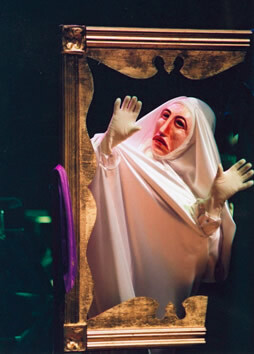 Dandi’s version of Roald Dahl's Snow White and the Seven Dwarfs incorporates broad acting, choreography and much interaction with the audience. Onstage, we require approx. 8-10 feet of playing area downstage of the orchestra, and a clear stage to both wings. In the Stage Left Wings, a quick change area is necessary. NOTE: The actors' voices will be amplified, so 4 wireless body mics (Lavs) must be provided by the orchestra or venue, along with a sound operator. They should be of the clip-on variety, NOT Madonna-style. Dandi will provide mic belts. A simple lighting plan and cue list will be forwarded as necessary, consisting of downstage specials, a general "forest" wash, and a two colour wash on the orchestra. The orchestra will require stand lights. A stage manager is required, to call the lighting cues. Lighting and sound operators must be present at rehearsals. The conductor will require a monitor to hear the performers' voices. Everything else is provided by the troupe. Discounts are available for additional Education shows or for booking additional education shows during the week when booking a family concert. To book Snow White and the Seven Dwarfs please contact Dandi Productions Artistic Director.